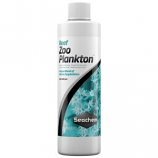 Concentrated blend of marine zooplankton. 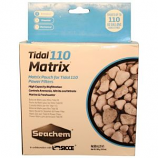 Enhanced to increase the bioavailability of important nutrients. . . .
Matrix pouch for tidal 110 power filters. High capacity biofiltration. Controls ammonia nitrite and nitrate. 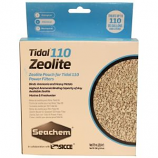 Marine and freshwater. .
Zeolite pouch for tidal 110 power filters. Binds ammonia and heavy metals. Highest ammonia binding capacity of any available zeolite. 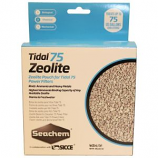 Marine and freshwater. .
Zeolite pouch for tidal 75 power filters. Binds ammonia and heavy metals. Highest ammonia binding capacity of any available zeolite. 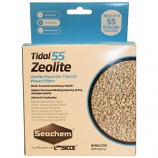 Marine and freshwater. .
Zeolite pouch for tidal 55 power filters. Binds ammonia and heavy metals. Highest ammonia binding capacity of any available zeolite. 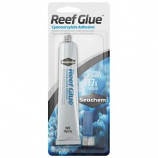 Marine and freshwater. .
Mount coral frags and colonies to reef rock and plugs. Bonds within seconds even underwater. New formula is 17x thicker allowing for more control and less mess. . . 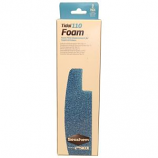 Foam filter replacement for tidal 110 filters. . . . . 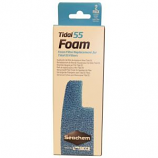 Foam filter replacement for tidal 55 filters. . . . . Foam filter replacement for tidal 75 filters. 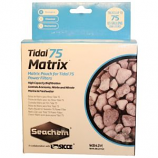 . . . .
Matrix pouch for tidal 75 power filters. High capacity biofiltration. 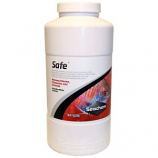 Controls ammonia nitrite and nitrate. Marine and freshwater. .
Seachem sensor technology - continuously monitors ammonia and freshwater ph. No tests no strips just constant readings. Ammonia alert lasts 1 year for freshwater & marine. 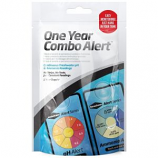 Ph alert lasts 3-6 months freshwater only. . 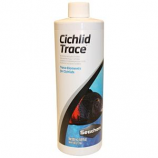 Trace elements for cichlids. 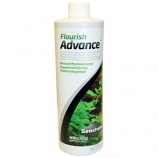 . . . .
A comprehensive plant supplement for the natural freshwater aquarium.. 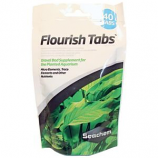 Contains a rich assortment of important micro elements trace elements and other nutrients.. Includes calcium magnesium iron and other important elements that been shown to be beneficial to aquatic plants.. . .
Natural phytohormone supplement for the planted aquarium. Dramatically stimulates the growth of both roots and shoots in aquatic plants. . . .
Gravel bed supplement for the planted aquarium. Micro elements trace elements and other nutrients. Tabs will not alter ph. 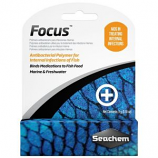 . .
Antibacterial polymer for internal infections of fish. Use alone or mixed with other medications to make them palatable to fish. Treats fungal and bacterial infections. . . 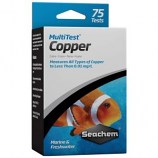 Measures all types of copper to less than 0.01 mg/l. Multi-cavity plate for simultaneous testing of up to 6 tests at the same time. Includes reference for test validation. Marine or freshwater. .
Eradicates ectoparasites and fungal bacterial and viral lesions. A safe alternative to formalin. Marine or freshwater. . . Highest organic removal capacity. Possesses enhanced capacity owing to its vast surface area; both spherical and macroreticular. 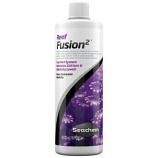 Helps control ammonia/nitrite/nitrate. Color changes as it exhausts; easily regenerated. .
Coral disinfectant. Elemental iodine complex disinfects corals. Good for use before introducing new corals. . . Provides 100000 mg/l of ionic calcium. Includes biologically appropriate levels of magnesium strontium boron iron manganese and molybdenum.. . . . 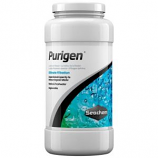 Contains a mixture of carbonates and bicarbonates at an alkalinity of 4400 meq/l.. Designed to restore and maintain alkalinity in the reef aquarium. 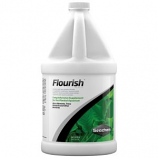 Provides calcareous species with the essential carbonate needed for growth.. . .
Removes chlorine chloramine and ammonia. Detoxifies nitrite and nitrate. 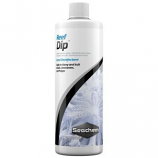 Dry conditioner for both fresh and salt water. . .